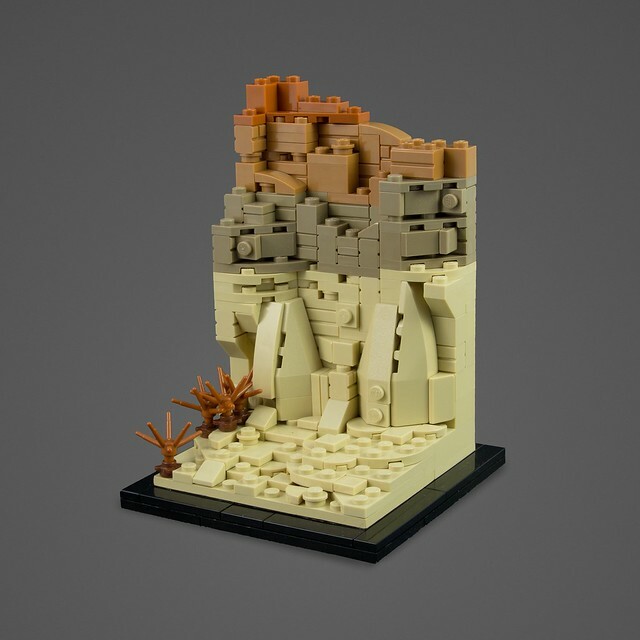 For some odd reason, this landscape MOC makes me want to build, and build thereafter I shall. Though seemingly simple, this dessert piece definitely authenticates the feeling one would get in said environment through the seamless use of parts. The color integration takes the cake though.